The street children phenomenon is an increasing problem in most cities of the world including Isfahan, which is a fast growing town. The number of street children with the growth of the town is increased. It is therefore important to have baseline data on their health problems. Hair element analysis remains an important tool in the nutritional and environmental assessment of them. A measurement of the elemental concentration in recently-grown hair provides an integrated view of the element status in the follicular cells and their blood supply, unaffected by short term fluctuations in the nutrient intake of the subject. 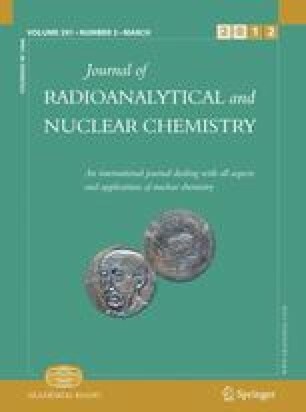 This study aimed to assess heavy metals concentrations in the hair of street children in Isfahan using neutron activation analysis method. The concentration of heavy metals (Cu, Cr, Fe, Hg, Mn, and Zn) of 17 Iranian street children (Isfahan) was examined. Data analysis found that different profiles of the concentrations of Cr, Hg, Mn, and Zn were seen in each sample. These results were discussed with reference to show of environmental effects. The Authors thank the research fellows of the Laboratory of Activation Analysis, Isfahan Research, Fuel Production Center and State Welfare Organization in Isfahan city for their technical advice. The authors are also deeply grateful to engineer Iraj Shahabi who actively took part in all stages of this work.